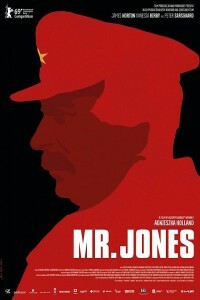 Based on real events, the dramatic thriller Mr. Jones, originally entitled Gareth Jones, chronicles a British investigative journalist as he travels deep into the Soviet Union to uncover an international conspiracy. His life-or-death journey inspires George Orwell’s Animal Farm. The film is from Oscar nominated director Agnieszka Holland (Europa, Europa).